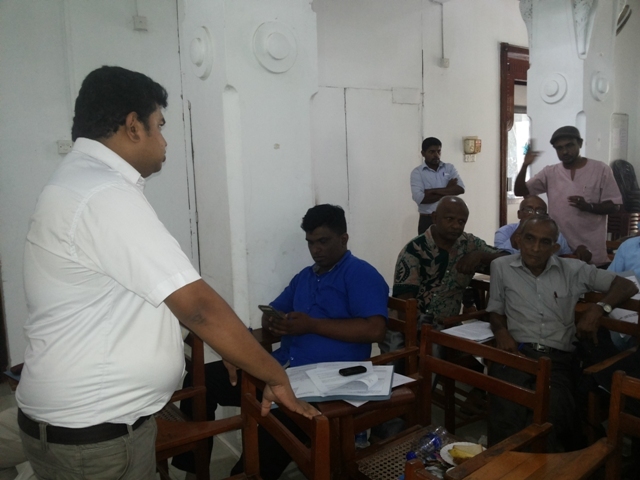 South region Follow up meeting on UPR recommendations by the UN CESCR and CSOs were conducted on 8th of August in Galle. 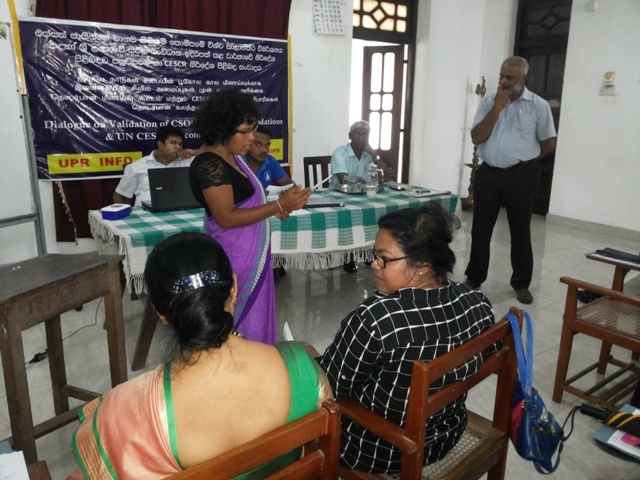 CSO UPR report for the year 2017 was prepared by CSO collective and main coordination responsibility was taken by the NAFSO. The compiled civil societies report was submitted on 30th March 2017. NAFSO and the main partners CSO collective for the prepared report decided to bring the report of the CSOs to the public to get validation before International preparatory and the follow-up meetings to be held in October, in Geneva and the decisive UN meeting on November. 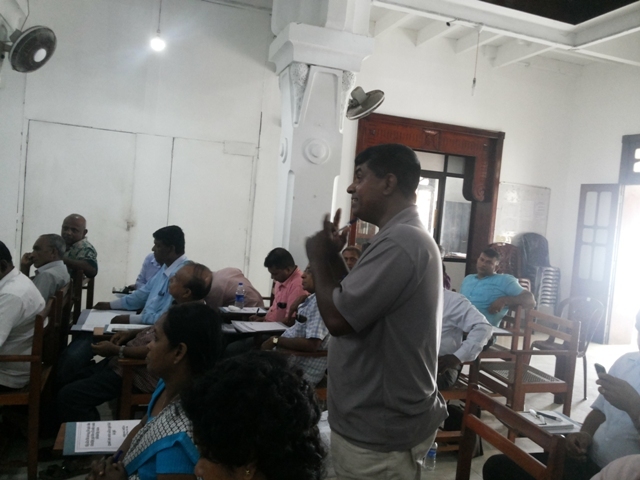 Together with CSOs' UPR report, Sri Lankan government report to the UN and UN - CESCR recommendations were also discussed with the participants. # Rights of the minority. # Dominance of law and order, taking into custody and disappearance of people. # Equality among men and women, Unmatured marriages and pregnancy before marriage. 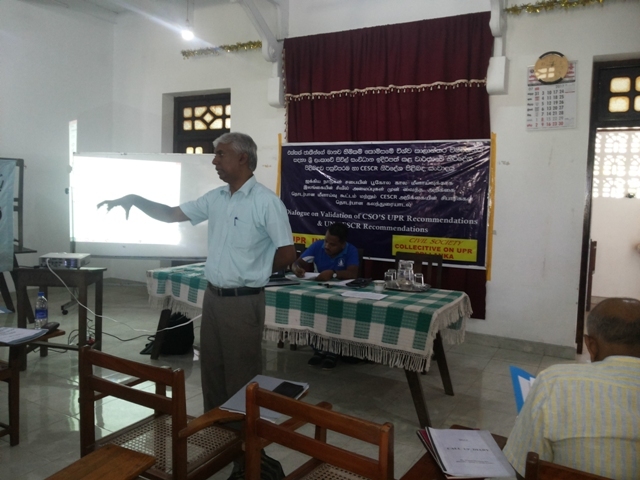 # Informality of school education. 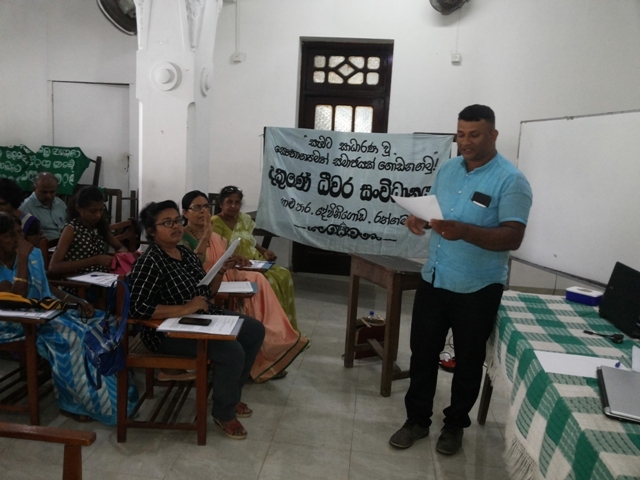 37 Participant represented Hambantota district, Matara District and Gall district civil society. 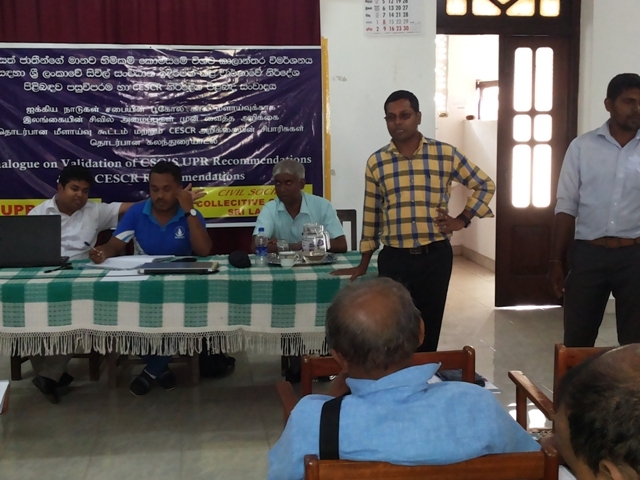 Program was facilitated by Mr. Herman Kumara, Mr. Anthony Jesudasn, Sampath Pushpakumara (Att. 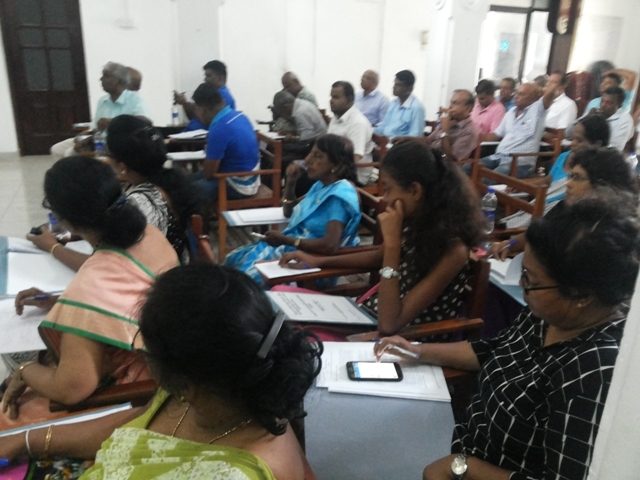 Law), Priyalal Sirisena )Att. Law, Mr. Ruki Fernando. 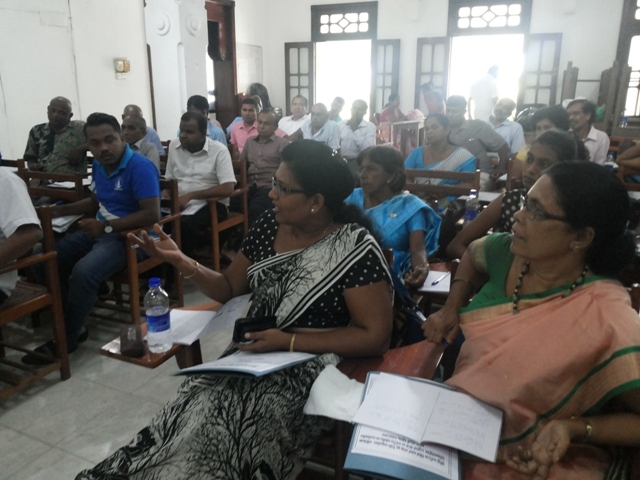 The regional program was organized by the Southern Fisheries Organization in Galle.